Interesting. I wonder who conducted the poll. From what I understand, it was the LDS missionary department that conduceted the poll. The brutal reality is that most Americans don’t much like or respect the Mormon Church or its members. LDS pollster Gary Lawrence has a book out on the same subject and it indicates that 1) 67% are uncertain Mormons believe in the Bible. 2) 77% question whether Mormons are Christian. 3) 75% associate Mormons with polygamy. Overall 37% have a favorable impression of Mormons and 49% disapproving. In contrast, they do tend to like individual Mormons they know — but most hardly know any Mormons individually. A big part of the problem is that we tend to do things with each other not the broader community. The harsh reality is that, to this point, our tv commercials, pr, community efforts and missionary program have primarily left a negative impression. We have failed to connect with the American public and, in fact, have turned them off. It is possible that the recent attention and the new ad campaign may be helping but, at the least, there is a very high hurdle to overcome. Unfortunately, many refuse to believe the facts. I think the original posting showed some of that reluctance to accept the reality. My sense is that the Church leadership and Church PR realize the problems are struggling to respond. But, the first step to a solution is acceptance by the average member that Mormons are considered a negative force by most Americans. We need to be more involved with our neighbors and co-workers. We need to be more open. These are tough, tough issues. Most Americans are pretty ignorant about anything religious-not just Mormons. I do agree that many people think LDS still practice polygamy-and these small splinter groups with Latter Day Saint in their name that keep popping up in the news-doesn’t help. Most Americans are pretty ignorant about anything not just religion. has an excellent cube of pictures depicting how denominations view one another. We can see that the Mormon Church isn’t the only victim of distortion. I’d be interested in that link, or data you tried to share…do you have any more information or stats you can share? oops, the link doesn’t work anymore, I guess. Steve- Doug & I will invite you to our barbecue! There we go! It worked. Hi Cal-you really got a kick out of that movie! The barbecue thing works for me-I’ll even host it! By the way-The Mormon Temple being constructed in Philly has caused a buzz in my area. I bet that buzz is interesting! Did you check out my link above? It’s humorous, too. Cal-that is one of the funniest things! I loved it! It’s weird as I was born Catholic, raised in a liberal church, was involved in the charismatic movement,I’m a pastor in the Reformed Church and I am an evangelical-I’ve covered them all! I wonder what happens if the question is a little different: “Do Mormons believe in Christ?” I wonder if that wording allows an opening of the conversation instead of a fight about whether or not we have claim to the title Christian. FWIW, I’m not surprised by the poll results, either. And I hope the campaign helps. Certainly in the Pacific NW, some of the most brash anti-Mormon campaigns have been born. Doug, what a background you have! has more stats on how non-Mormons view Mormons. It says 11% of American Protestant pastors somewhat agree that Mormons are Christians, and 6% strongly agree. I consider those figures encouraging even though the enlightened pastors are still definitely a minority. Regarding that poll-Cal-I have to love you buddy! You’re like that song from South Pacific: I am stuck like a dope on a thing called hope and I can’t get it out of my heart.” What the poll says to me is that the LDS have a long way to go tbefore they are truly accepted by Evangelicals as fellow Christians. Liberals on a bit more open-but who cares what they think! (I don’t!). I for one appreciate the civil discourse we have with each other and sense the Spirit of Jesus Christ within the lives of members of the church-but the doctrinal issues (as we have discussed) are problematic for me. It’s hard to know what has been taught in the past and is no longer stressed and what isn’t. Yeah, Doug, I got a twist out of the article that the writer didn’t intend me to! So which category are you in? Do you believe the LDS is not Christian? 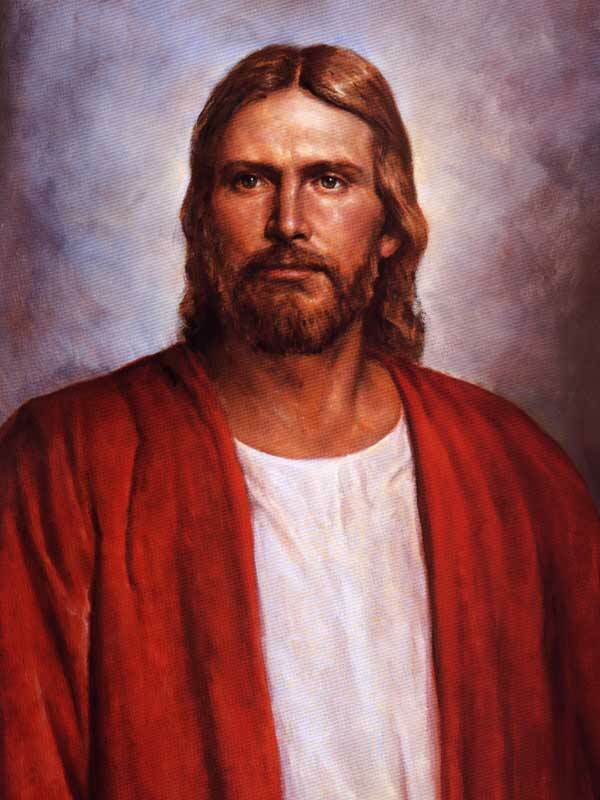 Do you somewhat believe the LDS is not Christian? Don’t know? I agree that it’s hard to know what has been taught in the past and is no longer stressed and what isn’t. Maybe it’s even hard for the Mormons on this blog to always know. If you hang out with non-members enough eventually you grow to love them as much as your LDS friends. If anything else good comes from that, consider it icing on the cake. I hope I’m not wearing out my welcome but I just have to mention that I became aware Thursday that Joel Osteen has hit the Christian news scene again in saying publicly that he believes Mormons are Christians. He is very influential because of his book sales, television program, and he’s pastor of the largest church in the U.S.
Joel Osteen is a good man. I think it is absurd that Christians and Mormons don’t just do exactly what he’s doing and unite on the common ground. Sure there are some differences, but there are within all sects of Christianity. I believe Osteen has the largest congregation in the US. Hopefully he can help people soften their hearts towards the Mormons. If you confess with your mouth that Jesus is Lord and believe in your heart that God raised him from the dead thou shall be saved-why add to what God has already said! I do believe there are doctrines and traditions in the LDS church (Temple rituals, Eternal Exaltation, Pre-existence) that can get in the way of the simpicity of the Gospel (that can be said for many churches and denominations). On a different note-didn’t you live in New England? How did yoou make out in the storm? Doug, good answer. We can agree on that! We only lost power for 2 1/2 hours here. We missed the brunt of it—in Newport, NH. I did start up our snow blower for the first time. Thanks for asking. Did the storm hit you at all? We had about 2-3 inches of icy snow-lights flickered but stayed on (some people in our church were out for 30 hours). bentw, that’s a nice comment. You’re a Mormon? Hi Brent-I for one appreciate the pro-family stand that the LDS have made in California-you guys really took a beating by the press. These days none of us who support traditional values are popular! I think the hardest thing about Mormons reaching out to their non Mormon neighbors is that the Church encourages constant Church oriented activity, so that there’s not much time for anything else.